Sri Lanka (Sinhalese: ශ්‍රී ලංකාව), officially the Democratic Socialist Republic of Sri Lanka, is a country located on an island in the northern Indian Ocean off the southern coast of the Indian subcontinent in South Asia; formerly known until 1972 as Ceylon, Sri Lanka has maritime borders with India to the northwest and the Maldives to the southwest. Brad Adams, Asia director, Human Rights Watch (27 January 2016), "Sri Lanka: New Government Makes Significant Progress"
World Bank on SL's poverty, quoted on World Finance (16 February 2016), "Sri Lanka has reduced poverty but challenges remain"
Mr Ajith Nivard Cabraal, the governor of Central Bank of Sri Lanka and Lalith Weeratuga sending a letter, quoted on Tamil Net, "Colombo bargains China connections in return for US favour", February 2, 2014. The fact is about this country that there is a chance of success because the war is over, the terrorism has finished, the fighting is done. Now what's needed is generosity and magnanimity from the Sri Lankan government to bring the country together. And I think coming here, listening to these people, hearing these arguments, helps to draw attention to their plight. I think the spotlight has been shone on Sri Lanka and people can see the good and the bad. David Cameron, quoted on BBC News, "Sri Lanka: Cameron in 'robust' talks over human rights", November 15, 2013. We should be less concerned about adding years to life, and more about adding life to years. I have been very fortunate to have witnessed some of humanity's greatest achievements during the 20th century that is nearing its end. Yet we must admit that it has also been the most savage century in the history of our kind. If I can have one more wish, I want to see lasting and meaningful peace achieved in Sri Lanka as early as possible. But I am aware that peace cannot just be wished; it involves hard work, courage and persistence. As we welcome 2001, let us harness our collective energies to create a culture of peace and a land of prosperity. This new research provides an important platform of evidence and analysis to strengthen our partnership with the government to help design policies aimed at improving job opportunities for the poor and other disadvantaged segments of the population, while promoting sustainable growth. The findings of the reports also reinforce the need [for] further measures aimed at improving the government’s effectiveness, transparency, accountability and establishing strong institutions so all Sri Lankans can take part in the country’s increasing prosperity. Françoise Clottes, Country Director, World Bank Sri Lanka, quoted on World Finance (February 16, 2016), "Sri Lanka has reduced poverty but challenges remain"
We have been a country where people just came in and went out. And that was a very, very healthy way of running our tourism. So this is new to Sri Lanka. So we are anxious to see how it works. Hiran Cooray, chairman of a highly successful Sri Lankan luxury chain, Jetwing Hotels, quoted on BBC News, "Sri Lanka visas: Tourist industry concerned", October 10, 2011. “Warm, friendly people.” The hackneyed phrase flows easily from the travel writer’s pen when describing Sri Lanka. So, too, does ‘tropical paradise’ and, I must confess, those were words I used when I visited the country first in 1980. 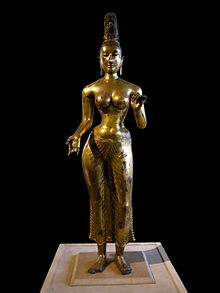 King Devanampiyatissa sent his nephew Arittha on the important mission of bringing Theri Sangamitta to Sri Lanka to establish the Bhikkuni Sasana and along with her the Maha Bodhi Sapling. Records of Mahavamsa (5th century AC), the Samanthapasadika (5 century AC) and the Maha Bodhivamsa (12th century AC). Sri Lanka’s new coach, Graham Ford, TheNews (February 4, 2016), "Ford calls for patience as Sri Lanka rebuild"
I am very aware what a huge challenge it is. I think Sri Lanka cricket finds itself in a very early stage of a very important rebuilding phase. A lot of hard work needs to be done. I think it is very important that this rebuilding phase is done on an extremely solid foundation. So patience is important. Sri Lanka coach Graham Ford on Sri Lanka's series of defeats, nzherald (2 February 2016), "Graham Ford calls for patience with young Sri Lanka team"
The immaculate perceptions of Sri Lanka presented to the West through holiday brochures, are merely a superficial insight into a country that has in recent history endured decades of fighting; firstly for its independence, then throughout a civil war that lasted for twenty five years. Finally, it had to reclaim life and its normalities back after the devastation caused by the Tsunami in 2004. However, underlying these hardships is a rich ancient culture based upon a foundation of Buddhist beliefs. Furthermore the island's geographical location means that, despite its small size, it is incredibly rich in biodiversity. It bodes a population who are both aware and active in the conservation, and in the celebration, of their culture and the beauty of their homeland. Clare Green, Stefan Siegel in: Colombo: Paradise City?, Not Just a Label, 3 April 2013. There is no denying that various influences from other continents are also having an impact. From Chinese electronic goods, to the usual European and American global brands, as well as Middle Eastern luxury lifestyle, there is something for everyone. For example, the Krrish Tower, Sri Lanka's tallest building, is a project that has now been approved and has already caused many controversies before even being built. It would, for the first time, offer luxury apartments shopping malls and a new lifestyle to the modernised society of this country. Clare Green, Stefan Siegel in: "Colombo: Paradise City?" influential columnist and editor, Shekhar Gupta, wrote in the Indian Express newspaper, quoted on BBC News, "India PM to boycott Sri Lanka Commonwealth summit", November 10, 2013. As far as tourists are concerned they have various destinations they can choose for their holiday. No tourist will come to a country where violence is taking place. Seenivasagham Kaliselvam, Sri Lanka Tourist Board, quoted on BBC News, "Shadow hangs over Sri Lanka tourism", February 17, 2006. So many people in Sri Lanka would not have had the opportunity for independent living had it not been for his [Robert Burns] continued efforts. Dundee club president David Laing on Robert Burns, who was awarded with a major honor for humanitarian work in Sri Lanka, quoted on The Courier, "Dundee man honoured with award for humanitarian work in Sri Lanka", March 28, 2016. I can sing about songs with gunshots in the background because I heard them. It's almost like my music has been a way to smoke out the hatred that's been bubbling underneath what's going on in Sri Lanka. If there's 300,000 people who are trapped and they're dying, it should be talked about, it should be brought to the table, and I don't see anything wrong in sticking up for 300,000 dying people. M.I.A., Video Interview to TIME (2009). The ties of friendship between India and Sri Lanka go back centuries and have matured over time to include all areas of contemporary relevance. I am confident that the renewed vigour in the Sri Lankan polity under your leadership will not only allow you to realize your vision for Sri Lanka but also strengthen the partnership between India and Sri Lanka for the mutual benefit of the people of our two countries. I would like to take this opportunity to assure you that, as a close friend and neighbour, we support your vision for Sri Lanka. Pranab Mukherjee, quoted on Business Standard (February 3, 2016), "India, Sri Lanka ties have matured over time: Prez"
Had he come we would have been really happy. This decision is taken because of [India's] internal political reasons, but it will not affect the success of this programme, we don't think it is a problem. Sri Lankan Foreign Minister, GL Pieris, told the BBC on Sunday that Mr Singh's decision was "not a defeat for us", quoted on BBC News, "India PM to boycott Sri Lanka Commonwealth summit", November 10, 2013. Mahinda Rajapaksa, quoted in BBC News, "Sri Lanka President Rajapaksa defiant on rights row", November 16, 2013. One of the central messages of Ramayana lore is that Rama refused to take possession of Lanka: after liberating his wife Sita, he left the Lankans to their own devices and handed over the throne to Ravana’s brother who was the only member of Ravana’s family to survive. This is not a peripheral detail but a highly significant application of the Hindu theory of sovereignty: all nations and communities, even conquered states, should be given their autonomy and the freedom to maintain their own mores and traditions (svadharma). About the Ramayana and Sri Lanka. Quoted from Elst, Koenraad (2002). Ayodhya: The case against the temple. Champika Ranawaka, quoted on BBC News, "David Cameron 'breached protocol' in Sri Lanka", November 19, 2013. Coach Upali Ratnayake, referring to Sri Lanka in the Asian Games (Cycling Federation), Daily Sports (January 29, 2016), "16 Riders Prepare To Represent Sri Lanka At SAG 2016"
Indigenous Sri Lankan culture received multifaceted influences from foreign cultures, mainly due to international cultural routes passing in the vicinity of the island. Their influences spread into hinterland through water and land routes, and were adsorbed by societies, transforming Sri Lankan Culture into a multifaceted heterogeneous culture with rich tangible and intangible elements. Manawadu Samitha in: Cultural Routes Of Sri Lankaas Extensions Of International Itineraries : Identification Of Their Impacts On Tangible And Intangible Heritage, international.icomos.org. Transcontinental cultures began to penetrate into the island during proto-historic period itself, and reached its climax during the period of consolidation of Sri Lankan culture in Early Christian Period. Main source of facilitator was the Silk Road on the Sea, which enabled trade between Far East and the west. A second wave of cultural contamination was visible during early medieval period, utilising hinterland routes as well as sea routes of India and Sri Lanka. Infiltration of Chola and Pallava cultures, along with Hindu Art and Architecture was one of the most prominent outcomes of this process. Muslim travellers who made pilgrimages to a sacred mountain in central hills of Sri Lanka spread the message and encouraged subsequent invading Europeans to settle down in Maritime Provinces and spread their cultures across the island. Final result was a multiethnic, multi-religious Sri Lankan society. The first major legendary reference to Sri Lanka is found in the great Indian epic, the Ramayana (Sacred Lake of the Deeds of Rama), which was written around 500 B.C. It refers to a conquest of Lanka in 3000 B.C. by Rama, to liberate his abducted wife, Sita, from Ravana, the demon god of Lanka. It is believed that this poetic account is an indicator of the early southward expansion of Brahmanic civilization. Many place names in Sri Lanka, very especially in and around Sri Lankan cities such as Galle, and Nuvara Eliya have close resemblance and relationship with this legendary.Islamic folklore maintains that Adam and Eve were offered refuge on the island as solace for their expulsion from the Garden of Eden. Asian poets called it the "pearl upon the brow of India." Sri Lankan chronicles refer to many Royal Missions between India and Sri Lanka during proto-historic period, and include the introduction of Buddhism, transferring of the Branch of Sri Maha Bodhi Tree sapling from India; and the bringing of Tooth Relic of Lord Buddha to the island. Maithripala Sirisena told Parliament, South China Morning Post (January 10, 2016), "Sri Lankan government proposes new constitution to devolve power"
US-based multi-billionaire investor George Soros, World Socialist Web Site (January 20, 2016), "Sri Lankan government tries to woo foreign investors"
Glenn de Souza, Vice President of International Operations for Asia & the Middle East, on Sri Lanka's tourism, quoted on Hotel News Resources, "Best Western Identifies Sri Lanka and Bangladesh As Key Growth Markets", January 29, 2014. Colombo Fashion Week is the premier fashion event in Sri Lanka and has been instrumental in bringing Sri Lankan design and talent to the forefront of the world fashion stage. It's a great opportunity for Sri Lankan designers, especially the new comers, to showcase alongside international designers... Sri Lanka is a country that's gifted with many resources that could be utilised in the fashion sector...traditional crafts of Sri Lanka is another area that needs to be revived and has potential of being linked with contemporary fashion. Charini Suriyage, as quoted in "Colombo: Paradise City? ", by Clare Green and Stefan Siegel. This is not a multireligious country. This is a Sinhalese country. Kirama Wimalajothi Thera, Bodu Bala Sena cofounder, quoted on Lions Roar, "The Rise of Militant Monks", August 23, 2015. … he (Ambassador Rapp) listened to eyewitness accounts about serious human rights abuses and violations of international humanitarian law, including those that occurred at the end of the war. In that context the government of the United States encourages the government of Sri Lanka to seek the truth through independent and credible investigations, and where relevant, have prosecutions. The United States of America's Embassy in Sri Lanka, quoted on Eurasia News, "Sri Lanka: The Heat Is On Colombo In Run Up To Geneva – Analysis", February 10, 2014. Sri Lanka is so jam-packed with alluring outdoorsy activities that visitors often high-tail it out of the capital a day or two after arriving, choosing instead to spend their vacation days lounging on a southern beach, whale-watching off the coast or leopard-spotting in a national park... Ceylon tea may be famous, but in the 1860s Sri Lanka (Ceylon, until it changed its name in 1972) was the world’s biggest coffee producer. It was only after blight struck that the British converted their acreage to tea. Nell Mcshane Wulfhart, in "36 Hours in Colombo, Sri Lanka", The New York Times (13 December 2013). This page was last edited on 9 November 2018, at 20:52.